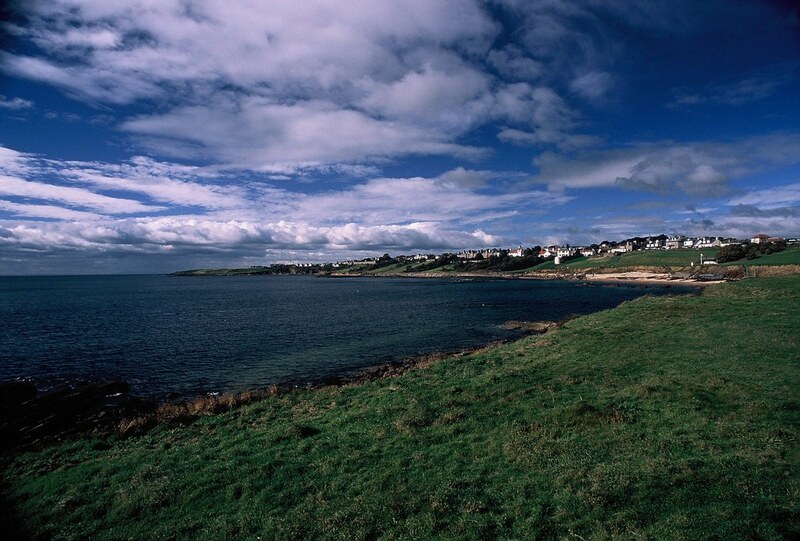 Fife was described by King James VI as "a beggar's mantle fringed with gold". The golden fringe to which he referred was the East Neuk (or nook, meaning corner). Here, on Fife's easternmost stretch of coastline are some of the kingdom's greatest attractions. 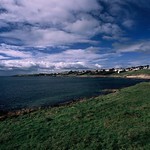 From Largo Bay to Fife Ness lies a string of picturesque villages, each with its own distinctive character and charm. These were once thriving seaports trading with the Low Countries. The Dutch influence lives on in their architectural styles. The red pan-tiled roofs and crow-stepped gables lend a particular continental feel to one of the most attractive corners of Scotland. The No 95 bus runs every hour between Dundee and Leven, via St Andrews, Crail, Anstruther, Pittenweem, St Monans and Elie. 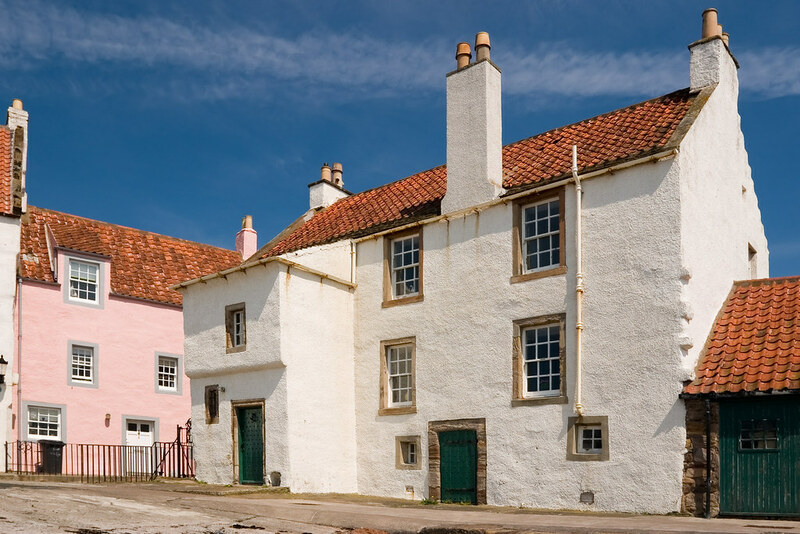 Well known for its pretty fishing villages such as Crail and Elie, East Neuk is famous for its beaches, seafood specialities and old world charm. The villages of Esat Neuk still have a few of the grand buildings and merchants' houses that are spread across the stone-built harbours. 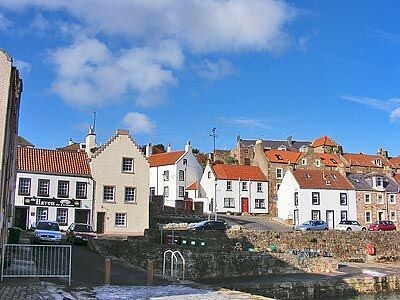 East Neuk could get busy on weekends with holiday makers. There are many leisure activities on offer including golf, walking trails and nature parks. 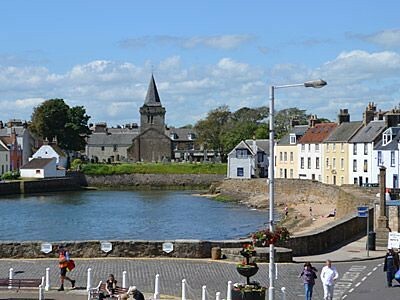 No trip to East Neuk can be complete without savoring the fresh deafood delicacies in any of its restaurants that are well complemented by farm fresh produce that ensure a perfect dining experience. 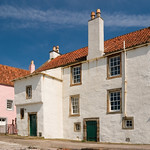 see our Hotels In Fife for local accommodation ideas. 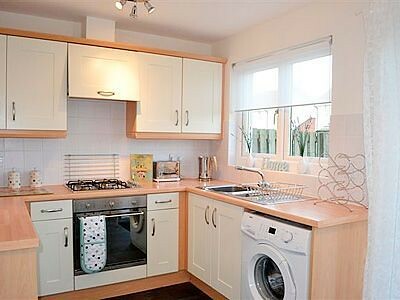 Upstairs apartment in an end of terrace cottage in centre of Lower Largo in East Neuk. Sleeps four people in two bedrooms.